Alex is a BIG polar bear. Zina is a tiny penguin. Alex lives in the Arctic. Zina lives in the Antarctic. Alex and Zina are polar opposites They live on opposite sides of the world. Their personalities are very different, too. But they find a way to meet in the middle. 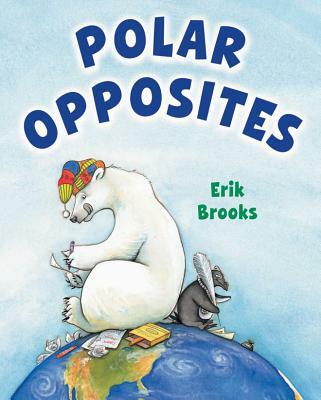 Erik Brooks's simple text and vibrant watercolor illustrations bring opposites to life in this lively look at two unusual best friends.